Welcome to Huntsman Cancer Institute’s tool page! In the drop-down menu and at the bottom of this page, you will find available resource pages that will assist your chapter in its fundraising endeavors. These materials were produced by our team in collaboration with successful Sigma Chi fundraising chapters to help provide guidance and ensure that we are helping you (fundraising participants) make the largest impact possible in the fight against cancer. The How to Videos pages contains 4 videos that explain how to effectively use the site's fundraising and resource capabilities. The Getting Started page includes two documents that will help guide your chapter in the beginning stages. Basic Start to Fundraising gives very basic tips that will help you begin the fundraising process, while the 10 Minute Guide to Fundraising goes into more detail. The purpose of the guide is to provide you with ideas on how to make your chapter’s Derby Challenge the best it can be! All of the events and ideas presented in this guide are suggestions. Feel free to customize them and get creative with your own ideas as well. The Event Planning Page includes 2 documents that will help guide your chapter when it comes to planning fundraising events. The 10 Minute Guide to Fundraising will provide you with ideas on how to make your chapter’s Derby Challenge the best it can be! All of the events and ideas presented in this guide are suggestions. Feel free to customize them and get creative with your own ideas as well. The 20k Club Brainstorming document was produced by Sigma Chi chapters that raised over 20k in the year of 2016-17. It includes helpful tips and ideas that helped them reach their fundraising goals, as well as things they would change in retrospect. The Letter Template page includes 3 customizable letter templates. The first is a general template targeted towards families and friends, while the second is targeted towards alumni and the third towards business sponsors. It is important to remember to customize each template to fit your specific chapter/situation/target audience. Don’t forget to include information on how to donate/a link to your specific chapter’s donation page. The Marketing and Graphics page includes 5 important materials that can be used to promote your fundraising efforts. The Social Media Tips pdf is a basic guide that provides great ideas to involve social media when promoting your philanthropy events/week. The Official Huntsman Cancer Logo pdf can be used in multiple ways, Examples include: Banners, Flyers, Letters, T-shirts, etc. 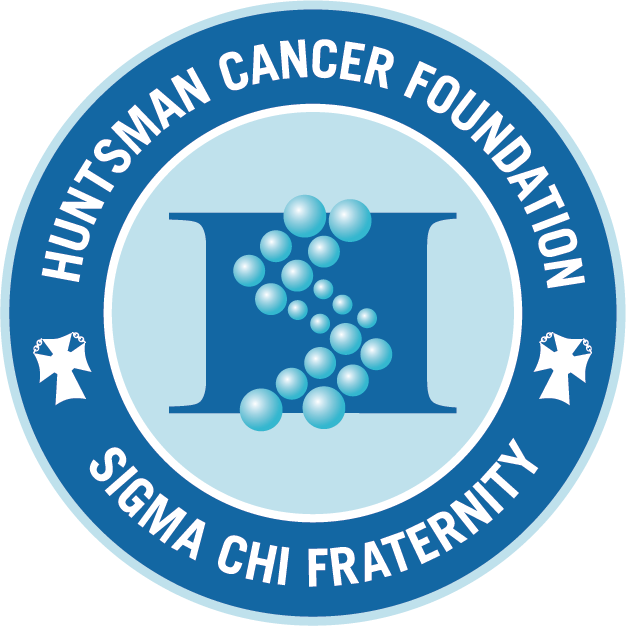 The Front and Back of Huntsman T-shirt pdf are often used to create basic T-shirts that your chapter can sell to help raise awareness and money. Lastly, the Snap Chat Filter is a fun way to have brothers, fundraising event attendees, the general public, etc. promote your philanthropy events/week and Huntsman Cancer. The Video Resources page includes 7 videos that can be used to promote/raise general awareness. These links can be used to promote on social media (ex: sharing a video on Facebook with donation link), in fundraising letters (ex: linking a video on a donation letter to help provide more context to those looking donate), at the beginning of events (ex: sharing a video at a philanthropy event to show attendees where donations are going and Huntsman Cancer Institute’s Invaluable impact), etc.